For The Linsly School to accomplish its mission, we must have a stable enrollment. We require this not simply for the health of the school, but to serve our students, community, and the world in which we live. To live up to our mission, we will focus our energies on developing a program, community and culture that attract and retain students who benefit from and contribute to our mission and school community. We will refine our tuition and financial aid models so we can continually generate the revenue we need to invest in our priorities, which include financial aid, faculty and staff compensation, and programmatic enhancements. Ensure that all program development is mission focused, and marketed in a professional manner, using a variety of platforms. Improve admissions selectivity, increase the number of qualified applicants for each division, and diversify our international and domestic boarding student population. In addition, given the current economics of our local region, Linsly will raise endowment funds for need-based financial aid. 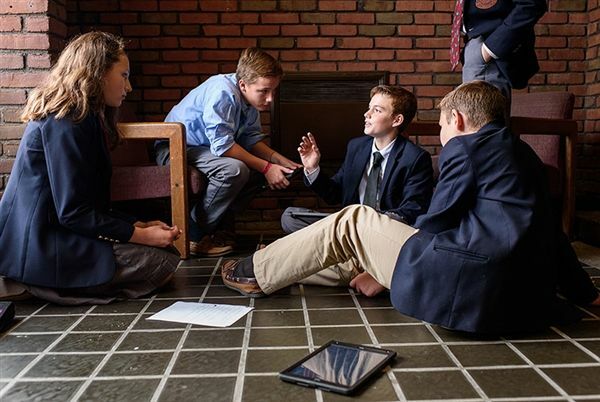 Enhance the local and regional market's understanding of Linsly as a day and boarding school by clearly communicating what a Linsly education delivers and what should be expected. Enhance our regional and distant markets' understanding of Linsly’s residential program and the boarding advantages.